Storage cabinets are the ideal solution for storing your wine collection. Whether you have twelve bottles of Cabernet Sauvignon or perhaps an ever-growing exquisite bottle collection, storage is extremely important. 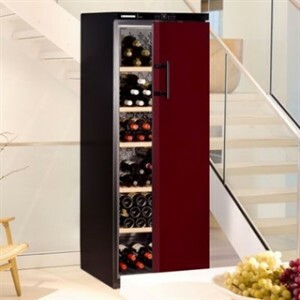 Wine cabinets offer the correct environment for wine and help prevent any premature aging. With this in mind, we want to share with you our top five wine storage cabinet recommendations to ensure your wine is stored in the best possible conditions. Each of the models detailed below are available to order from us and if you require further information we are only on the end of the phone. We also have a few wine storage models on display at our showroom, so if you are in the area why not pay us a visit! A wine cabinet offers security and stability for your bottles in the correct conditions. Storing wine has never been easier or more fun! We have chosen our top five wine storage cabinets as listed below. 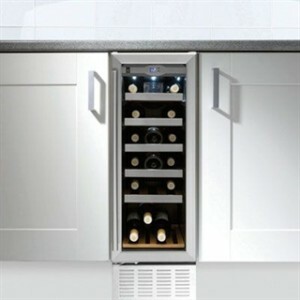 This under worktop single temperature wine cabinet is ideal for storing all your bottles of wine. The sleek and modern wine cabinet design is perfect for any kitchen or restaurant and allows you to easily access your bottles. Perfect. The temperature settings are easy to control and adjust at any time (if required). If you want a neat and compact wine storage solution then this is it! Caple have produced a fantastic wine storage cabinet which allows you to store up to 19 bottles, suitable for smaller wine collections and ideal for any wine lover or enthusiast. It definitely adds an extra stylish yet subtle touch to any kitchen or living space! For larger wine collections (200 standard 0.75l bottles) the Liebherr Vinothek Single Temperature Wine Cabinet is perfect. The bold Bordeaux door will make your wine cabinet noticeable and inform your guests you are stocking the very best wine. 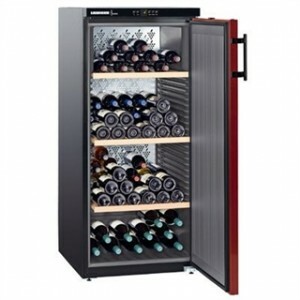 This Liebherr single temperature wine cabinet is a slightly smaller version of the previous cabinet. This wine cabinet holds up to 164 (0.75l) bottles and looks impressive in any kitchen or dining facility. Wine can be stored easily and securely in each of the four sections and offers the most suitable conditions for long-term storage and aging of wine. 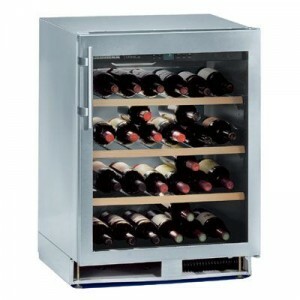 This compact single temperature wine cabinet is ideal for small yet priceless wine collections. Wine lovers and enthusiasts love the striking design from EuroCave as it looks truly spectacular in any kitchen and is also suitable for bars and restaurants with little space. This cabinet holds up to 38 standard wine bottles (0.75l) and is one of the most popular options for storing wine. Speak to us directly and get the quickest response: one of our expert advisors who will happily assist you. Wine storage cabinets ensure your wine is preserved for as long as possible which allows you to enjoy the wine to its fullest once it is opened. Please see our ‘Wine Cabinet Buying Guide‘ for more information.